I haven’t posted anything new from my sketchbook in quite awhile. The truth is I haven’t spent a lot of time experimenting in my sketchbook until just recently. and a calendar for June. 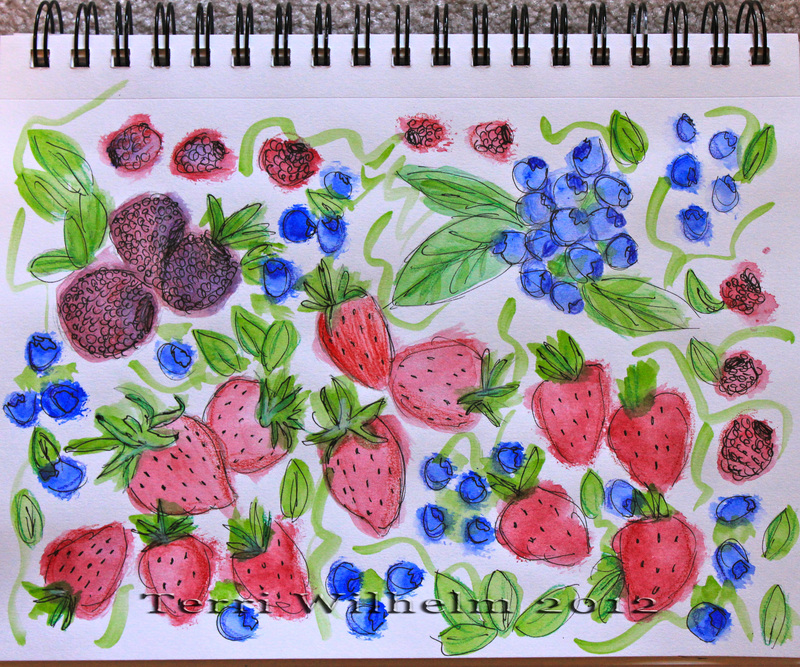 My vision for June was berries since they are usually in season this month, so I sketched and painted a page with strawberries, raspberries, blackberries and blueberries in mind. When I was finished, I liked the page so much, I decided I couldn’t cover it up. So I ended up doing another page, similar in style to cover up with my calendar pieces. 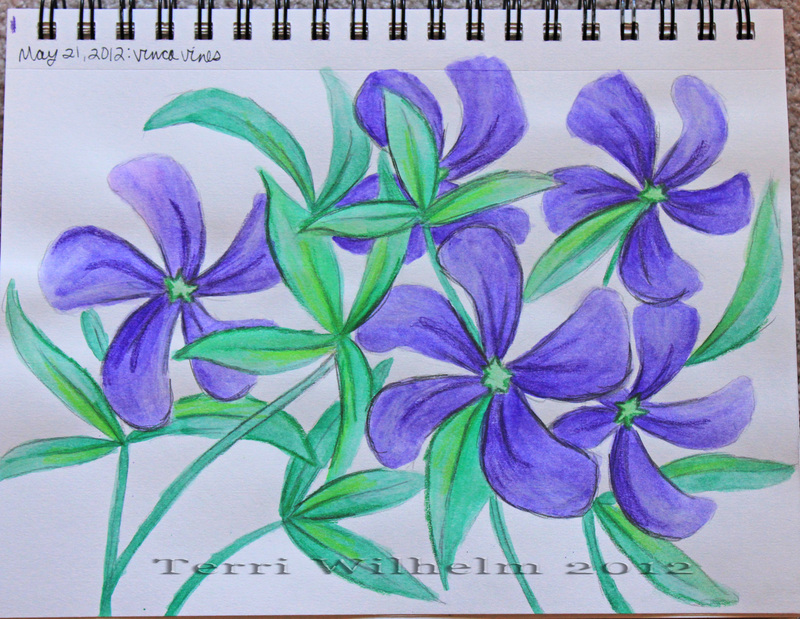 I’ve also been working on quite a few flower sketches lately too. I really love working like this, starting out with a pencil sketch using a Verithin pencil, adding some color with acrylic or watercolor paints, and finishing off with some dimension by adding pen and colored pencil. I have missed experimenting in my sketchbook, so I’m happy to have the time and energy and inspiration again. I have at least three more pages in progress, and lots of ideas to fill up many more pages. Feels great to be dreaming up and illustrating my own ideas again, outside of an assignment or a homework deadline. I was thinking that I was going to ask you if those were raspberries so I was glad when you said that you were doing berries. That was way up on the June calendar. I love that you are able to sketch & do your own thing too. I love seeing what you come up with. Great work. Thank you! Yep, I had berries on my mind. I swear I could live on berries during the month of June! I’ve had to do so many projects these past few months with assignment specifications, so it’s nice to be able to do my own thing again… until the next semester begins. Fun stuff, as always. You calendar like I do….after the month is over. LOL. Sometimes, that’s how life goes! Thanks Stephanie. I have missed playing in my sketchbook lately. 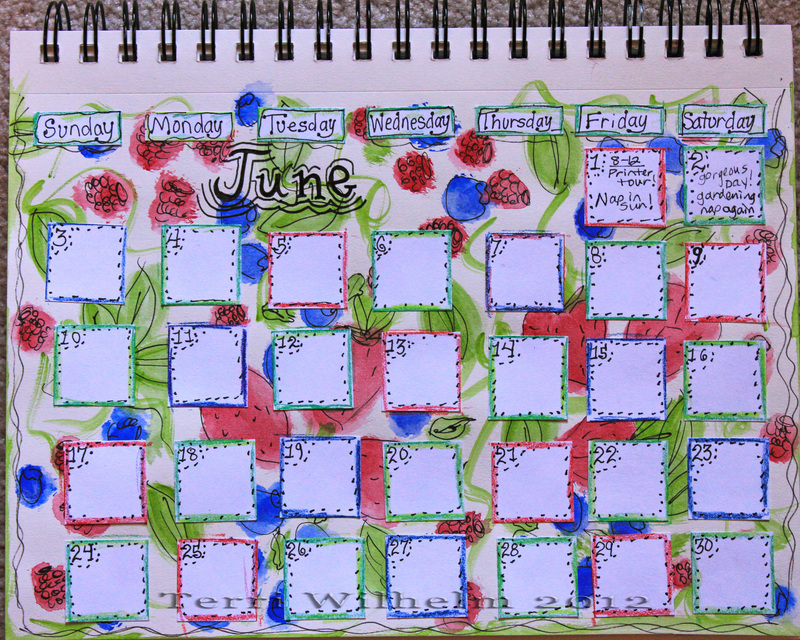 The one thing I’m not crazy about with this calendar project is that it feels kind of scrapbook-y, which I’m not a fan of. But I hate to start a project and then not follow through with it. These remind me of my late Grandma. She loved to do watercolors:) Thanks for sharing your beauties! 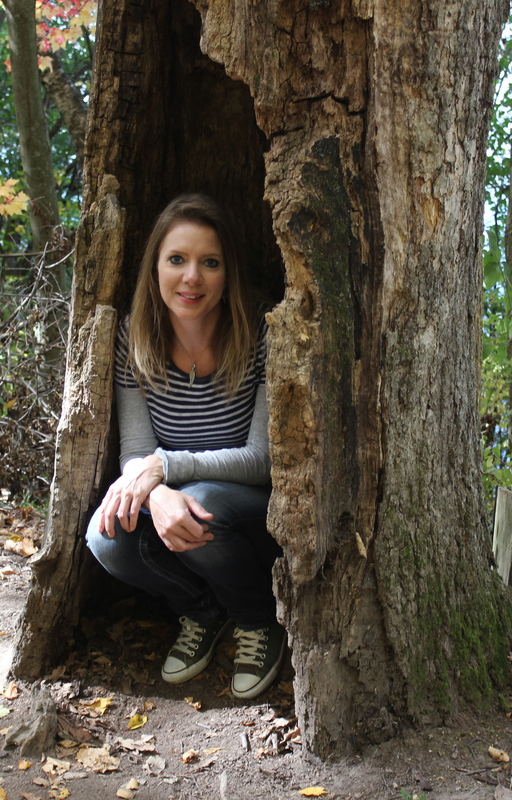 Maybe you should start publishing calendars…they have all been so fun! Lovely! You’re so creative, Terri. 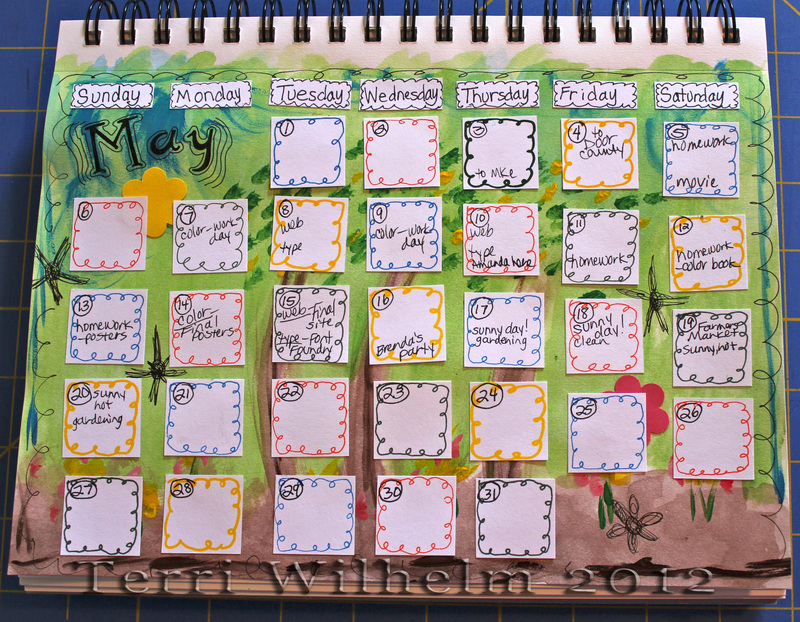 I REALLy like your sketchbook calendar! Your sketches are wonderful! It’s great to see them again, I love the berries!